Since the GDPR has been levied in EU & UK everyone is in the haul to ensure their site follows these regulations. GDPR is “General Data Protection Regulation” that needs a business to protect all the personal data and privacy of every EU residents. Not following this regulation will lead to heavy penalties. It has got enormous impact on the businesses. It has increased the rights of the EU citizens letting them decide how they prefer their data to be collected and stored. It even allows them to have all their data deleted as and when they wish to. This is a clear chance to win the trust of your consumers/clients across the globe by providing them full transparency. If you have a strong data protection policy customers are bound to have full trust in you and your companies services. GDPR Myth Well, there is a myth where people are saying GDPR is applicable only to businesses in EU. But, the fact is that it is applicable to each and every site where there is data of a European citizen. You may be US based, but if your site holds any data like email id, phone number, address, photos of an EU citizen, you are bound to follow this regulation. Whom does GDPR apply to? Any company collecting any data for their business purpose and has any personal data of the European citizen GDPR will be levied on them no matter what they use it for. Every online business or any business dealing with any kind of transactions or data transmission online need to adopt this new regulation. It has been designed in such a unique way that it protects the consumers in diversified ways. What are the Benefits of Having a GDPR enabled website? Many are presuming that having a GDPR enabled website will create a lot of havoc in their current functionalities and will increase their work. But, it's not all that bad. Let's take a look at the benefits of GDPR for the online business. Enables you to uncover your most important customers. How to be a GDPR Compliant Company? GDPR does understand that for a business collecting some data is a very important part. But being GDPR compliant ensures that your customers and clients can delete, edit, check, monitor and control their own data. For this you must ensure there is a process in place that allows data security, making it encrypted and anonymous. GDPR Compliant Software If you want to be GDPR ready, it is essential that you have a solution/software that allows you to evaluate, plan and execute the consistency of GDPR. 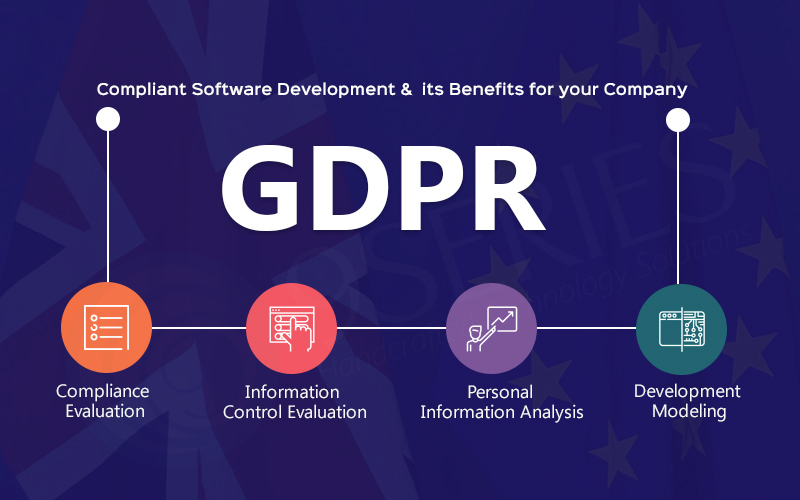 Here at 9series Solutions, our developers help you with all the necessary things to fulfil your requirements for a GDPR Software. Our programmers have years of experience to create a customised solution based on your requirement depending on the depth of information you collect from your consumers. Don’t see GDPR as a trouble or expense, but take this as an opportunity to win the trust of your consumers easily which otherwise will be difficult. Secondly it will open doors for you to do business in any country. Conclusion: We all have seen how Facebook was affected with a data breach, to avoid any such things it has become mandatory to have your site GDPR compliant so that you can do business with EU & UK citizens too. Like we don’t want people to meddle in our lives, similarly, consumers also want privacy and don’t like companies sharing or stealing their details. With this new regulation, online transaction and data sharing will be quite safe and easy. If you are looking for a GDPR compliant website our developers can definitely help you. You can discuss the same with us.